So I am sending this message out to see what my options are. 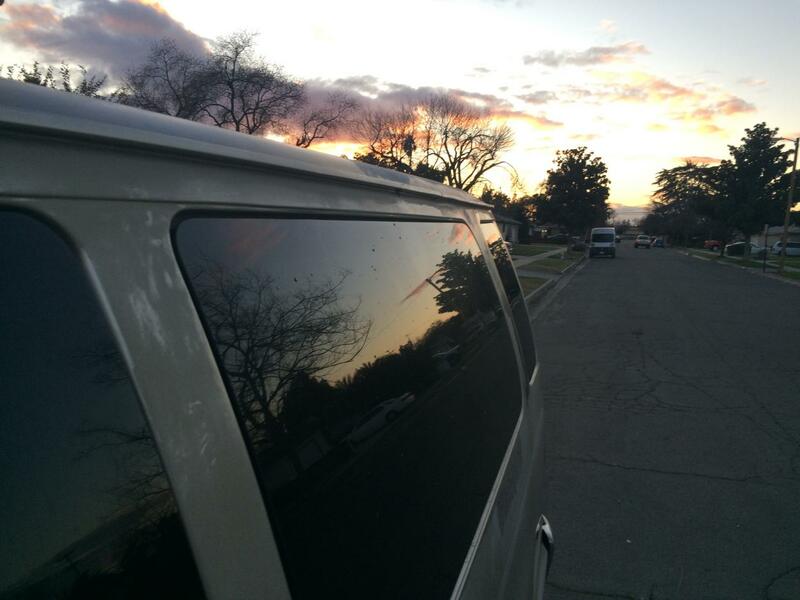 Van is a 2001 ford e350 v10 15 passenger van. These windows are not that hard to get on and off and plenty are available from junkyards for a decent price should yours be unsalvagable. Best way would be to remove the window. Clean up the butyl as you suggested, and put some new stuff on there and reinstall. I used 3m Window Weld and it worked great. Replaced 3 windows that I messed up when grinding welds in the van. Whole other story, but it's pretty easy to remove and fix these up. 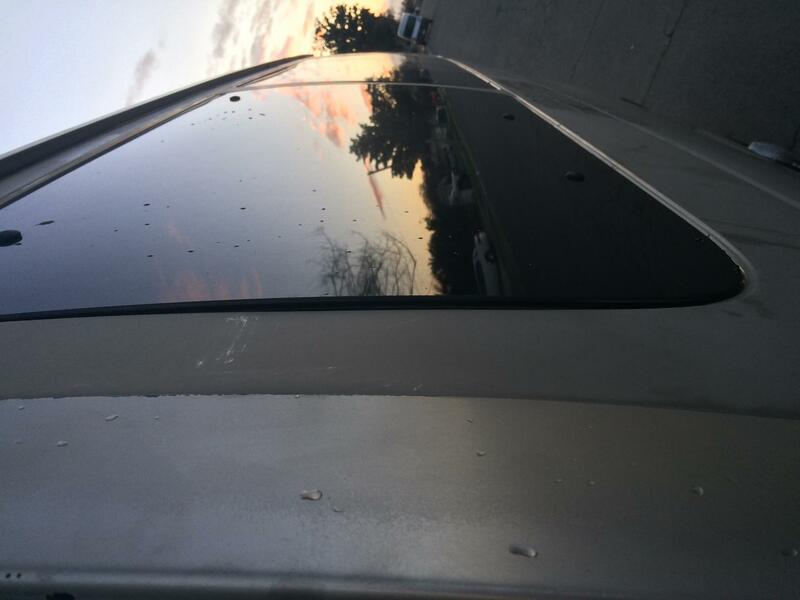 I'm in the auto/truck glass biz and oddly enough worked with member AnnieO on her 2010 Quigley E350, the drivers side rear window was leaking at the top. When reinstalling the glass use something like a nut driver first to gently seat or squeeze the butyl between the glass and body. Make sure you tighten the mounting nuts in a circular sequence, just a turn or so each time. While the glass is out inspect the body flange where the glass mounts for Since there is evidence of prior collision repair its possible irregularities that might interfere with the butyl making full contact all around the separator ring exist Make sure there are no outward bumps or inward depressions---this can affect sealing but more importantly stress the glass causing it to break when tightening the mounting nuts. BTW 3M Windo-Weld would be my only choice for this---it should be available online but mine comes from the local NAPA store. My back windows leak too! I haven't gotten around to it. I just crank up the rear heat to dry things out. But the last time I had the interior panels off, I remember all of the windows nuts were loose. Not even finger tight. No doubt from the factory sealant drying out. I snugged them all down. Which probably made it worse.... Anyways, you shouldn't have any issue taking it apart. CarringB, I suspect that jumping your van repeatedly has contributed to this a bit. That's really good to know. I have a new to me pop out window to install and would have probably done a less than complete removal of the old sealant as I had no idea I could break the glass. As for the OP's question, I have tried more than once to seal a window from the outside, using different sealants without first removing the glass, and it never worked. That's really good to know. I have a new to me pop out window to install and would have probably done a less than complete removal of the old sealant as I had no idea I could break the glass. I assume you've seen the install thread on installing the rear pop-outs? Should basically be the same for any of the pop-out windows on the E-vans. 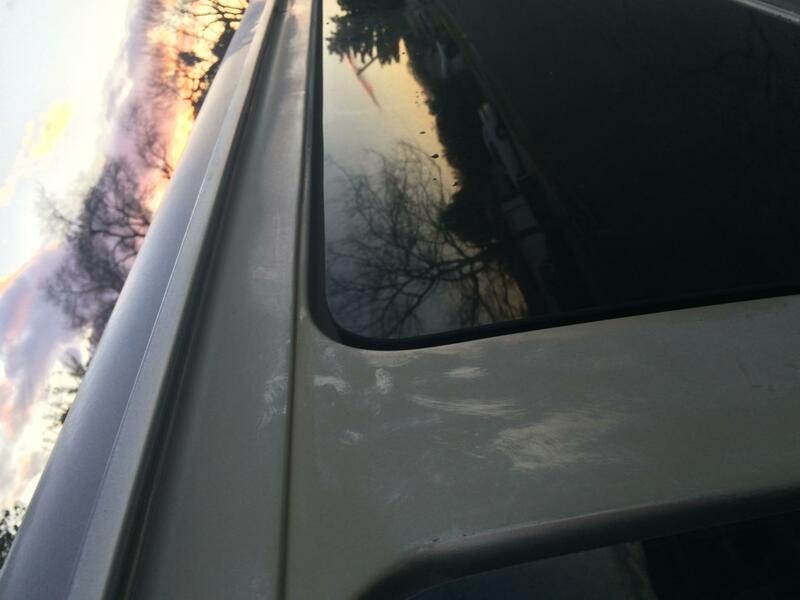 I used a plastic scraper and some acetone to get all the old sealant off the van and window frames. With regards to the pop-out windows, I don't think they are as likely to break during install as the non-pop-outs, because the frame is separate from the glass. It's the frame that you mount to the body with the sealant, and the attachment bolts from the van metal go into the metal window frame and not the glass. So you're not stressing the glass at all. Thank you everyone. We stopped at a glass place today and just asked for advice. We left there with a little more confidence and a free roll of butyl tape. I didn't have the van with me but he said he would be willing to take a look at the windows and give me free advice so, I will be going there again tomorrow morning to see what he says and to get more butyl. We noticed that the pop out window doesn't sit flush with the vehicle so that may be a big problem but hopefully not with some fresh sealant. The window bows out a bit. I too had leaky back windows. It was quite bad when it rained. Since it's cold and I didn't want to mess with it I had a glass place fix it for $120. One hour later I was on the road.